What is Growth Hacking and Why Should You Care? Growth hacking is a major part of the marketing world we live in today. We’re going to go into what growth hacking actually is and why any good business shouldn’t ignore it. Read on to discover why now is the time to give growth hacking some serious consideration. Growth hacking is a simple concept to understand. It’s about using some specific marketing strategies to target the maximum number of people. The key is to spend as little as possible doing it. This is not a new concept. TV ads and billboards are other similar methods of reaching the maximum number of users. In other words, you’re not targeting a specific audience. You’re targeting everybody with the hope that you will hit enough of your target market to make it worthwhile. That’s only one part of growth hacking, however. Growth hackers also think of non-traditional methods of achieving this. In other words, they’re the innovators within marketing. They’re less likely to use traditional methods because these are often the most expensive. Who are the Main Users of Growth Hacking? Most growth hackers are start-up businesses. This is simply because they need to think of new ways to market without spending too much. As already mentioned, standard marketing methods are too costly for them to use. Growth hacking enables them to reach more people without overspending on already tight budgets. We should mention that the nature of growth hacking means it’s all about pushing the limits. You can’t break new ground without sailing close to the wind. Grey hat techniques are a fundamental part of growth hacking. It’s not uncommon for growth hackers to find themselves being penalized. This is an occupational hazard of being a growth hacker. It’s also why established companies rarely wander into growth hacking territory. They have too much to lose. Where Can You Learn More about Growth Hacking? 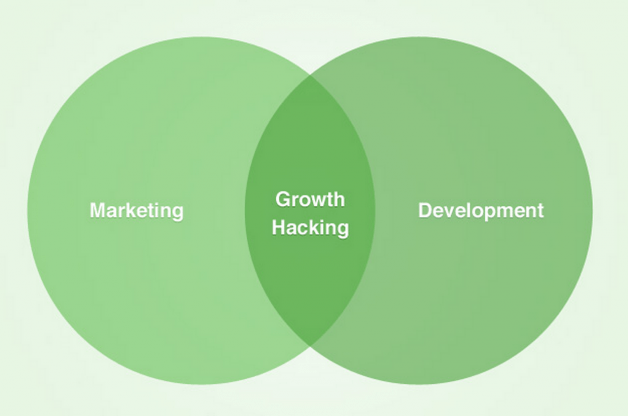 QuickSprout’s Definitive Guide to Growth Hacking. This is an infographic guide where you can learn about things like the growth hacking funnel and retaining users after you’ve captured them. Growth Hacker TV. Here you’ll find a range of interviews focusing on different industry experts. They can inspire you to success. Grow Hack. This site contains a range of case studies presented in blog form. You can even join groups like User Growth Boot camp. It’s always a favorite because everything is offered in course form. There are hundreds of these courses and they range in cost from $25 all the way to $300. Why is Growth Hacking Good for You? Growth hacking is an excellent way to gain customers and retain customers at an affordable price. We’re going to explore more deeply into why this is something you should add to your marketing list. Traditional marketing methods require quite a lot of funds to get off the ground. Many companies are forced to take out bank loans because they may never see a return on their investment for months. This isn’t viable for everybody. Growth hacking allows you to find holes in the current system and exploit them in a way that’s legal and fair. It’s about not accepting the current state of things and looking for alternatives. Some industry experts wrongly believe that it’s impossible to keep customers acquired through growth hacking. This is incorrect because retaining customers is not an issue of growth hacking. Growth hacking brings people to your business. Once they’re there it’s up to your company and its products/services to speak for you. A customer who loves your products will stick with you whether they were acquired through growth hacking or not. Dropbox is one of the finest examples of growth hacking in the world. They discovered that they could not advertise at all and simply offer lots of free storage space for people who referred their friends to the service. They potentially saved millions of dollars by doing this, and they potentially made millions of dollars through all the new users they gained. Growth hacking could lead to you discovering something you never considered before, and that could make the world of difference in your business. Growth Hacking in Your Future? We’ve demonstrated what growth hacking is, who it helps, and why you should consider it. As you can see, this is a tactic that, when done correctly, can prove more potent than most traditional methods of marketing. If you’re willing to spend time researching growth hacking, this could be the way to skyrocket your business into the next stratosphere. Care to take a break from growth hacking for a bit of play? Consider KnownHost dedicated gaming server hosting.